STMicroelectronics has introduced the automotive-grade ASM330LHH six-axis inertial sensor for super-high-resolution motion tracking in advanced vehicle navigation and telematics applications. Serving demands for continuous, accurate vehicle location to support automated services, the ASM330LHH lets advanced dead-reckoning algorithms calculate precise position from sensor data if satellite signals are blocked, such as in urban canyons, tunnels, covered roadways, parking garages or dense forests. Its advanced, low-noise, temperature-stable design enables dependable telematics services such as e-tolling, tele-diagnostics and e-Call assistance. 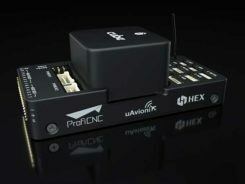 Precision inertial data in six axes also meets the needs of advanced automated-driving systems, the company said. Automotive component manufacturer Magneti Marelli has selected the ASM330LHH for advanced telematics systems, to be fitted as original equipment by global automotive groups in upcoming vehicle ranges. For the ASM330LHH, as with all its MEMS sensors, STMicroelectronics owns the entire manufacturing process, from designing the sensors, through wafer fabrication, packaging, test, calibration and supply. Full end-to-end control enables STMicroelectronics to create high-performing sensors and assure customers of a robust and responsive supply chain, with rigorous end-of-line quality screening, the company said. Engineering samples will be available for evaluation by the third quarter of 2018, and volume production will begin the following quarter. Temperature range up 105 degrees Celsius giving designers extra freedom to locate electronic controls in hot areas such as in smart antennas on the vehicle roof, or near the engine compartment. Ultra low noise allows greater measurement resolution by minimizing integration errors when positioning is reliant on sensors only. High linearity and built-in temperature compensation eliminate any need for external compensation algorithms over its operating range. Lowest power consumption in class, with features for optimizing power management if battery usage becomes crucial. Qualified according to AEC-Q100 automotive-grade robustness standard. Built on STMicroelectronics’ proven, proprietary ThELMA MEMS process technology, which enables integration of both the three-axis accelerometer and three-axis angular-rate sensor (gyroscope) on the same silicon for optimum yield, quality, and reliability. The electronic interface integrates the signal chain for both sensors on a single die using STMicroelectronics’ 130nm HCMOS9A technology. 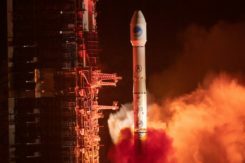 Reference designs, as well as STMicroelectronics’ Teseo satellite-positioning modules and related software are available. The dead-reckoning algorithm included with the Teseo III GNSS-receiver chipset already supports the ASM330LHH to generate a high-accuracy output suitable for autonomous navigation. Tiny, low-profile 3mm x 2.5mm x 0.83mm device for minimal impact on the size of any on-board module.